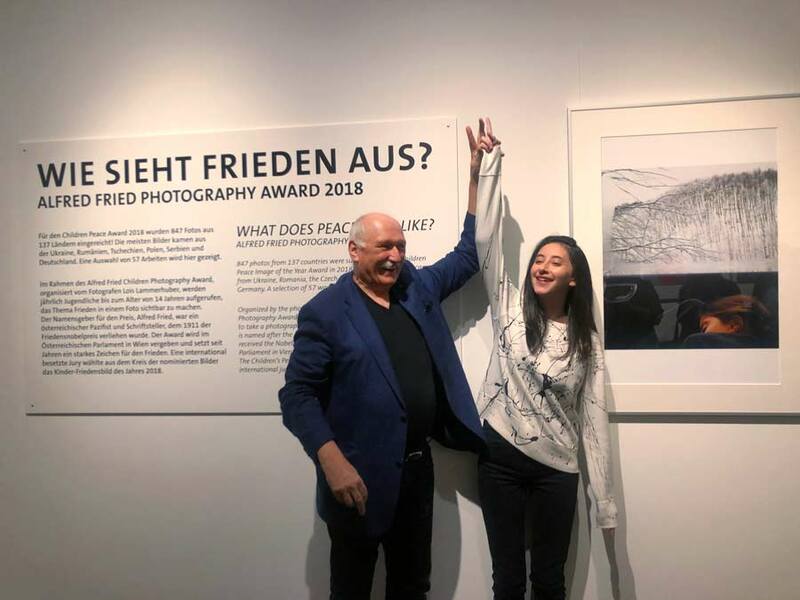 Selected photographs from the Children Peace Image of the Year 2018 are exhibited in Viennas Museum of Natural History. 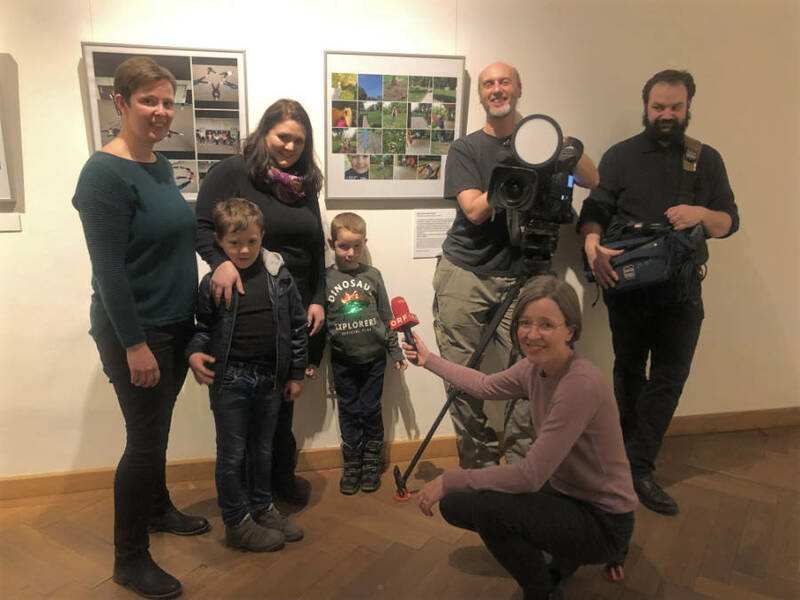 Accompanying the exhibition „Krieg – Auf den Spuren einer Evolution“ (War. Tracing an evolution) the hall 50 of the museum was turned to a workshop of peace by exhibiting these images. 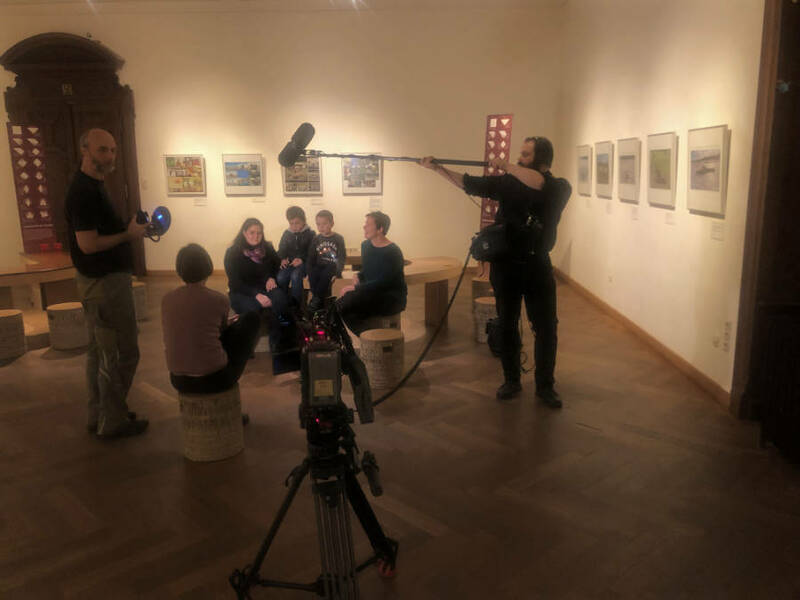 On the opening day of the exhibition the austrian public radio ORF Radio Wien interviewed two participating young photographers: Maximilian Resch and Marco Pölleritzer. Presenter Nicola Corazza. The inauguration of the exhibition was a great success with 200 visitors. 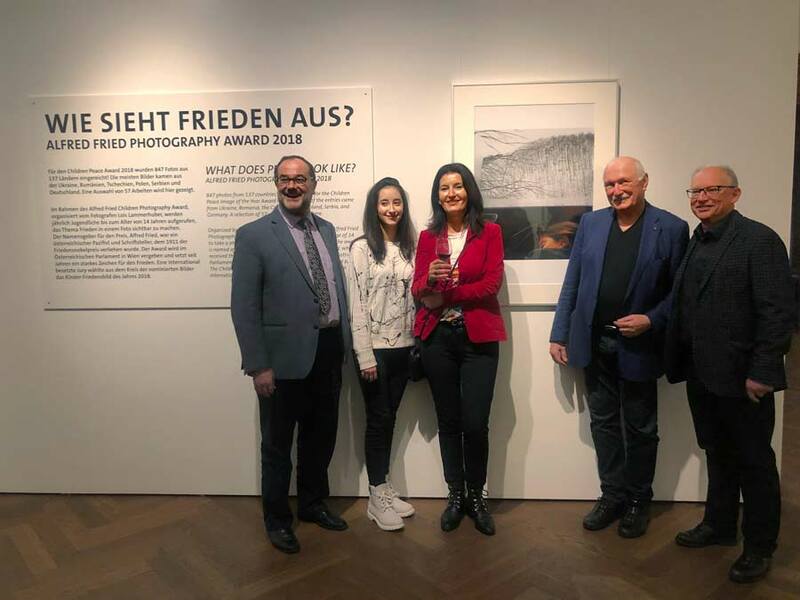 Christian Köberl, Director General and Chief Executive Officer NHM, Lois Lammerhuber, photographer and publisher Edition Lammerhuber and Reinhard Golebiowski, head of department Exhibition & Education NHM were happy to welcome the winner of the Children Peace Photography Award 2018 Kaja Tasevska and her mother Maja Tasevska.